The School of Healthcare Sciences' OT Clinic provides specialist assessment, intervention and advice for children with a range of difficulties affecting performance and function in daily tasks, including Developmental Coordination Disorder, Asperger's, Dysgraphia, Autistic Spectrum Disorder and general occupational difficulties. The OT Clinic is the only university-led children's Occupational Therapy clinic in the UK offering assessment and intervention for children with handwriting and sensory processing difficulties. The clinic was opened by Ruth Crowder, Policy Officer Wales for the College of Occupational Therapists and alumnus/former staff member of the School, who said, "As well as offering a new treatment facility and adding to knowledge about how to help children reach their potential in life, this clinic offers a third set of opportunities to the students of the Occupational Therapy programme here at Cardiff University. It complements their placement learning and enables them to see specialist skills in practice." The Clinic is staffed by Sue Delport and Wendy Cumines; experienced clinicians registered with the Health and Care Professions Council (HCPC) who offer a professional, high-quality service responsive to the individual needs of the child and their carers. Professor Sheila Hunt, Dean and Head of the School of Healthcare Sciences, said, "It is very exciting to be here at the opening of a new clinic tailored to meet the needs of children with developmental difficulties. This clinic joins the Inspire Performance physiotherapy clinic at Talybont Sports Centre as a means of using the quality of expertise within the School to provide a high standard of services to the public." Clinic staff use a range of assessments to analyse and understand the child's strengths and difficulties and to identify goals and priorities for intervention. 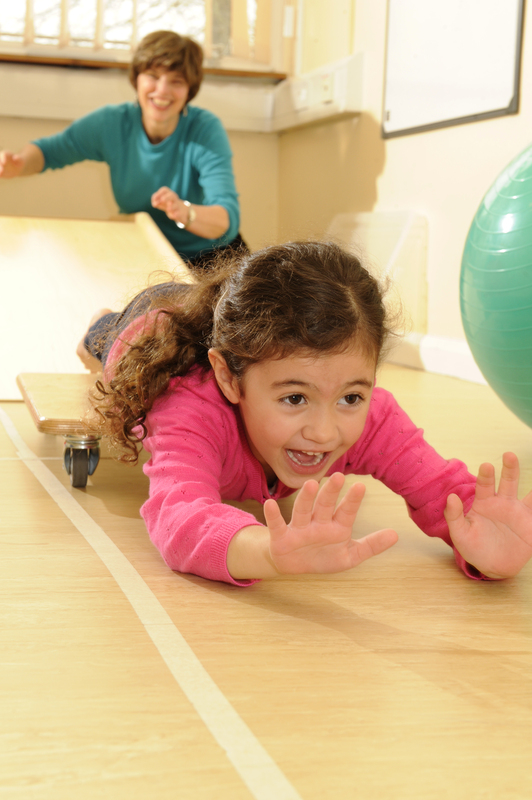 Following assessment, occupational therapists will work collaboratively with the child and carers to develop or improve participation, confidence, independence and performance in daily occupations. Clinic staff are also able to offer tailored training and advice to health and educational professionals on a range of issues relating to developmental disorders. This may include education around a particular condition such as Developmental Coordination Disorder, or on how to improve difficulties with handwriting, sensory, perceptual or motor skills.